Legend has it that in 1981, Tobin Wolf sat down at the dining table with his daughter and sketched a cast of muscular, superpowered characters who combined both "superhuman" and "superanimal" powers. 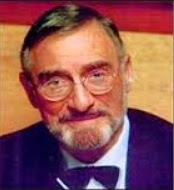 He then handed the sketches over to the producers Jules Bass and Arthur Rankin at "Rankin/Bass" who shared the idea with Stan Weston and his company "Leisure Concepts" where the sketches ended up with Mike Germakian. Mike developed the sketches into a couple of character posters a long with their weapons. 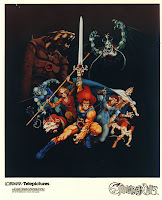 He also created the iconic Thundercats logo with the cool lettering we all know plus the first conceptual drawings of the characters and their weapons that can be seen on this iconic photo-realistic art piece. Though Thundercats was indeed the work of many good men, history would have stopped here if it wasn't for a hard-working main writer named Leonard Starr. 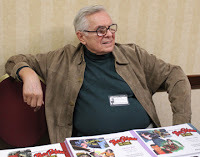 Someone I knew, knowing that Leonard Starr and I are friends, asked about a couple of entries on the "Thundercats" site, concerning Ted Wolf's daughter reminiscing about sitting around their dining room table creating the characters in the series. I'd dropped in on Leonard in the studio he was sharing with Stan Drake often in the 80s when in addition to writing and drawing "Annie", collaborating with Stan on "Kelly Green"; he was also working on "Thundercats". I remembered him working on the "Bible", drawing a map of 3rd Earth, there was a drawing he did of Lion-O looking through the eye holes of the 'Sword of Omens' with the 'Eye of Thundera' to give him 'Sight beyond Sight', that kind of thing. There were also photocopies of Thundercat type characters. I know, of course, that the opening credits of the show say 'Created by Ted Wolf", but had no doubt that Leonard was solely responsible for developing the show in the form that went on the air. Still, I was remembering events of 20 years or so ago, so I phoned him to ask about it, but then I thought, wait - the next time I come over I'll bring a tape recorder so that you tell your side. He said "My side? I have no side. It was a job and I did what I did, but okay if you want to take the time." So - a week or so later, I live farther from him now, I came over to tape the session (the clarifications in parentheses are mine.). I also brought printouts of the Ted Wolf items from the Internet. He looked at them and laughed. LS: "Ted Wolf? There really was a Ted Wolf? The first I ever heard of him was when I saw his name on the opening credits of the first show." (Leonard doesn't spend much time on the internet, just uses his PC for e-mail, checking the programs on his local classical music station, research for something he's working on etc. He was surprised when I told him there was a lengthy site about "On Stage". I'd be surprised if he ever checked it out.). Me: So you never met him? LS: I thought it might be a manufactured name, maybe for copyright reasons, like… what was it… yes, "Alan Smithee", a pseudonym movie directors used when they felt their work was tampered with or for whatever reason didn't want their actual names on the credits." Me: So…wait. Let's go back to the beginning. 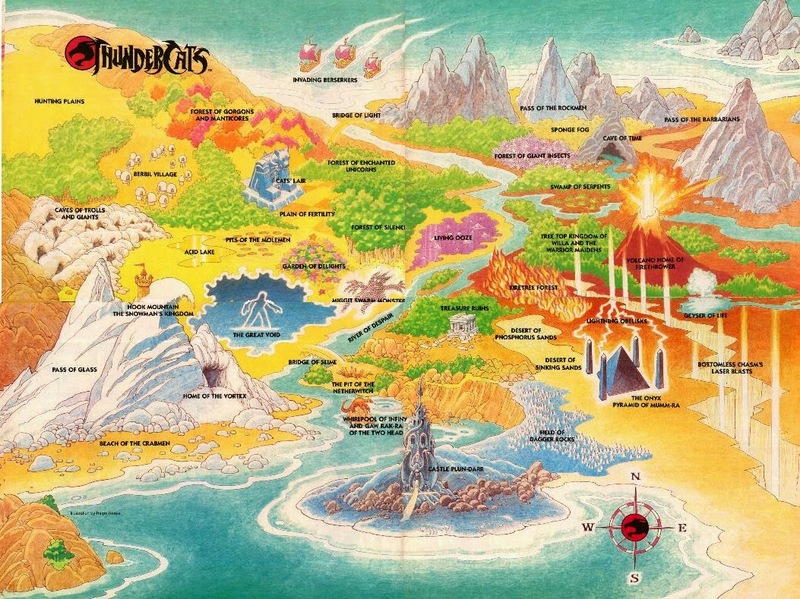 How did you get into "Thundercats"? 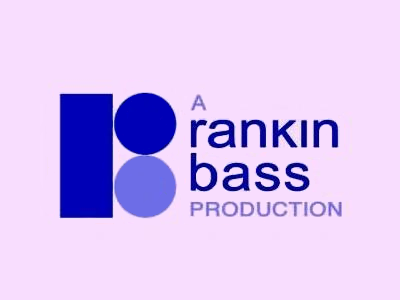 LS: Oh… Jules Bass (of Rankin/Bass) called me one day, said something had come in that he'd like me to take a look at, but that they were in a bit of a time crunch. Could I come in the next day? As it happened, there was an event at the Illustrators (The "Society of Illustrators" in New York) that night, and we'd be coming in for it. Great. If I could drop by the office first he'd wait for me. So, sure, I dropped Betty (L's late wonderful wife) off at the club on the way, and got to R/B just before six. Everyone was gone of course, just Jules there, and he had an easel set up with posters, about a half dozen of them, with fully rendered drawings. At least two were of Catpeople, a Lion man I remember, maybe a Panther man, at least one Reptile man, a rendering of what would later become the Thundercar or maybe the Thundertank, and …I don't really remember what else except for the Thundercats logo with that terrific lettering, rendered in color as all the posters were. (These were probably the photocopies I saw in Leonard's studio) I think that striking logo was as instrumental in the show's success as anything else. In essence, what was happening was that they were brought this material, there was a good chance of getting a show based on it on the air, but they didn't know what the hell to do with it. R/B's long experience in animation had been entirely in Saturday morning shows and specials and those, like "The Jackson Five", "The Osmonds", would have two musical numbers per half hour show, whatever plot there was pretty much connective tissue to fill what remained of the 25 minutes without commercials. This project would be for direct syndication, five days a week from the outset. It would require a basic setup of situation and characters that were capable of extension, very much like the way a continuity comic strip works, my ballpark. Did I have any thoughts on what was there, Jules wanted to know. What came to me immediately was Egypt, because of their ancient animal Gods, jackal, cat, etc. It could also bring in mummies, tombs, things that twigged me when I was a kid. The Tcats might be survivors of a dying planet etc. Could be a way to go, Jules said. Could I do a treatment? But quickly, there was some kind of time pressure. So I said I'd give it a shot, did it the next day, just a few pages, pretty much a précis of what the first show would turn out to be, the imminent destruction of Thundera, their Exodus and so on. 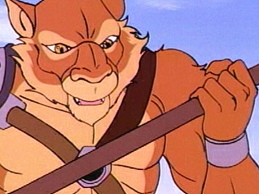 Jules had wanted a team so I added the other Tcats, their specific weapons, Snarf for comedy relief, named them, also the bad guys, Slythe, Monkian, Jackalman, etc, called them Mutants because it was a word that resonated with kids as bad guys… like the Tcats weren't mutants, one critic later wanted to know?… Mumm-Ra the Immortal…no, the Everliving because "Immortal" had a benevolent sound to it, anyway, as the overarching evil that awaited them on Third Earth, which was what remained of Earth after two nuclear holocausts. I sent it in before the PO closed, and heard from Jules the next day, saying they liked it so much they were even going to pay me for it and could I come in the next day. I did, and when I got there Jules had had a Deal Memo prepared, specifying a certain sum for agreeing to the Memo, another for completion of a "Bible" which is a basic format for a series of 65 half hour shows for other writers to base their scripts on, another sum in the event of commencement of production, a price for each following script, a specific percentage of any merchandising revenues, all else to be further defined in, quote, "a more formal and complete contract now in preparation", and so on. The merchandising percentage was okay, but merchandising is iffy. I was more interested in residuals, like the downward sliding scale on the contracts of the previous shows I'd done for them, so much for the first run, less and less for the second, third, etc. showings, so that if the Tcats ran at all, there would be additional revenue. Jules said we'd work that out when we did the formal contract. Oh- and there were consulting fees, as I'd asked him if he'd like me to ride shotgun on the scripts. Oh, God yes! he'd said. It all seemed okay, I'd done some specials that Arthur Rankin had asked me to write and they'd all gone well, no money problems, so I signed it. For openers could I give them a two-hour Tcat special, one that could also be shown as four half hour and/or one hour shows? Sure, so I rearranged my schedule, put in a couple of really heavy days and brought it in. Wait…my memory is a bit hazy here…I don't remember if I did the Bible or the show first … Maybe the show because we didn't know where we were with this yet. The script went in pretty much unchanged, except for some vital additions by Jules. 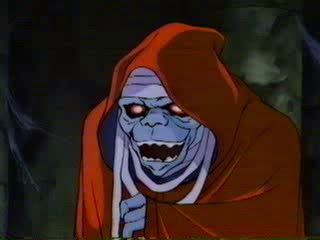 He had Thunder…Thunder…THUNDER precede Thundercats HO!, the mummy Mumm-Ra transform into the monster Mumm-Ra and for the Sword of Omens to grow and flash when Lion-O did the call. 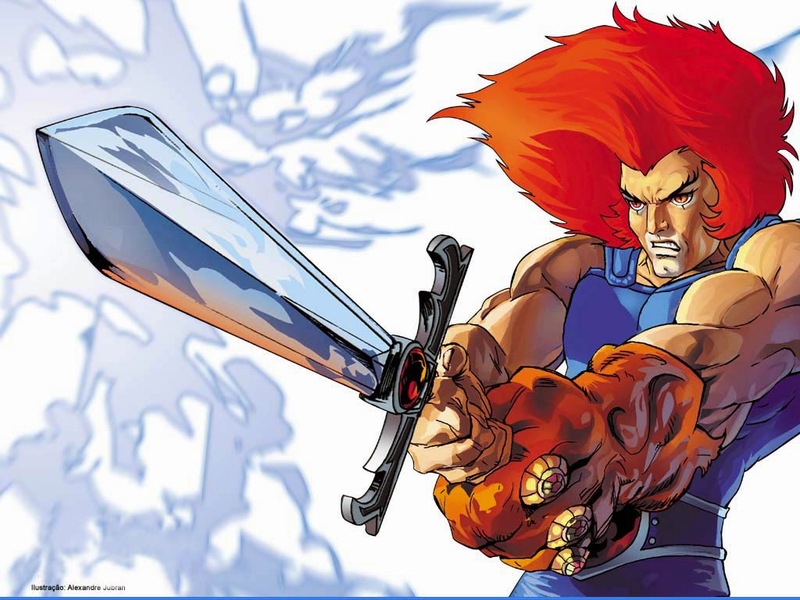 The holocausts were cut because that might scare kids… Oh- he also changed Lion-L as I had it because of a possible conflict with the toy train people, to Lion-O. Um…Ah- he also thought there should be some juvenile Tcats, hence Wilykat and Wilykit, and…that was about it. Jules cast the actors to record the script, got a composer to do that first rate score… I think Jules himself did the lyrics… and off it went to Japan for animation. It doesn't seem now as if it was very long before the film came back. An assistant ran it for me the next time I went in, and it looked great. The Japanese had done a terrific job designing the characters, the animation itself equal to or better than anything else around, the only error a voice identifying "a tiny blue planet" that had been colored green. More important to me was that my credit should have been "developed by" in addition to "head writer". Asked Jules about it, he said they had to do it that way. Why? He shrugged as if he didn't really know himself, it was out of his hands. Okay - I wasn't envisioning a further career in animation, I had my own gig, and so the credit didn't really matter. Me: And the show went on right after that? 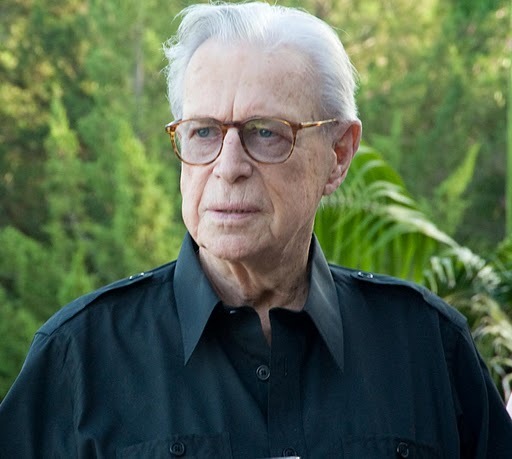 LS: Soon anyway, though if it was shown in my area I wasn't told about it, but Dik Browne (the late great Dik Browne - Hi & Lois, Hagar) called me from Sarasota, the family had seen it, liked it a lot, but - it had been shown at 8.00 PM. Wasn't that a bad time slot for an animated kid's show? Was it ever! The kiss of death! I figured that was that, but a day or two later Dik called again. The weekly ratings had been published in their local paper, Tcats among them, and the ratings were excellent! The numbers must have been pretty much the same wherever else it had played, because Jules called me to say it was a GO and I guess it was at this point that I wrote the Bible. I also decided that a map of Third Earth would be helpful to the subsequent writers so I designed that as well…and…I think I started right in working on scripts. Three scripts a week would have to be recorded by the actors in New York and sent to Japan, so we had to start finding writers, not easy, because most of the experienced animation writers were in California, plus, I discovered later, their price per script was roughly twice what R/B paid. Anyway, somehow scripts started coming in and …(laughs) …I made a discovery! Writers hate to write! I shouldn't have been surprised because I'm one of them. Dorothy Parker said it for all our ilk, to wit, "I hate to write, but I like have written" Ah yes - it's that blank sheet of paper. Hemingway called it "the White Bull". It was almost as if some of the scripts were written the night before deadline. I'd send them back for rewrite at first but then time would run out and we'd be hung up, so I ultimately rewrote them myself, getting to see dawn from the wrong end a lot, but hey- I'm a comic artist so it was by no means the first time. Jules must have handled some of the editing because there was no way I could have could have done it all on my own. Me: So it was essentially you and Jules getting the scripts out? LS: I guess so, but it was just as well that we didn't have that schedule killer - Leeway! Not that it didn't get scary. I remember Jules' calling me one Saturday with a problem, adding "I'm getting too old for this ****!". Just generally, it seems to me now that I was on the phone half the day with Jules or writers or the really first rate production staff. Stan was finding it disruptive, so I finally had to take another studio down the hall to handle it all. Me: I remember. You had Frank (Frank Bolle, Winnie Winkle, Apt. 3G, etc. one of L's oldest and closest friends since their high school days) help you on "Annie" at one point. 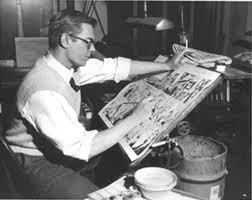 LS: Yes, he penciled a sequence from my roughs and had to push his own killer schedule around to do it. Well -that's Frank. Me: Yes, I met him through you and now he's recently done the illustrations in the book I wrote with Ed Martin, "The Last Chance". LS: Oh, right. Hope it's doing well, Jim. Uh…Anyway, we got through the first 65 shows, it was a hit, we were tired but exhilarated, and then another, I think…40 shows were ordered, but now we were in a groove so it was going more easily. Me: You were on it for more than a year, weren't you? LS: Oh, sure, and here comes the fun part. After about two years I asked Jules about residuals again. "Oh, we can't give residuals on a cheap show like this." Oh? Well, has that "formal contract in preparation" been prepared yet? "Look,"says Jules, "If you want to sue us, sue us. It'll cost you a lot of money and you'll lose." Huh. He jumps right from "how about the contract" to "Sue us"? Oboy. There's a Mexican curse that goes, "May your life be filled with lawyers", and here it was, lawyer time. So I took my sad story to my local attorney, and he set me up with one of those lawyer factories in New York, five floors or so on Madison Avenue. It turned out that the guy assigned to my case, I forget his name, had represented R/B in a suit against Joe Levine (Joseph E. Levine, the producer that had bought up those shlock Italian muscle movies, "Hercules" et al, had them dubbed into English and made a mint. 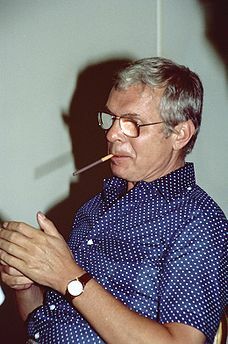 He later, crazily enough, also produced "The Graduate") and won it for R/B. Well, great, I figured. They know each other, they'd had a good experience, they'll talk it out, come to some kind of satisfactory resolution, and that will be that. Ho ho. He set up a meeting with Jules, and called later that day. How did it go? He said I asked Jules, 'What about this paper, the Deal Memo?'. Jules said, "I don't know." Oh? "What shall I tell my client"? Jules said, "I don't know." So. There it was. There was nothing for it but to sue. Papers were served, all that, lawyer stuff. In the event, the suit didn't get further than the deposition. 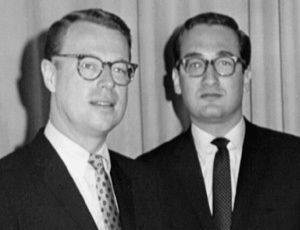 R/B's lawyer started out by saying that Stan Weston, had told him that, no question, I was almost totally responsible for the show in its present shape. Stan Weston? He was a guy who had a company called "Leisure Concepts". He'd shown up at the R/B offices once, maybe twice after the show was a hit, happy as hell with the way things were going, complements to me… nice charismatic guy. How did his name come into the suit? If he had any connection to the show it wasn't mentioned. Did Tcats come to R/B via "Leisure Concepts"? Well, who cares. It was a promising beginning, but the promise quickly fizzled. It turned out that a Deal Memo is a binding contract, news to me, despite having signed many a contract in my life. It being my conceit that I could read a short sentence in English comprised of words I was familiar with, I didn't realize that "A formal and complete contract now in preparation" turned out to be one of those complex legal terms that translates as "Up yours." I did get the specified percentage of the merchandising, future plus the revenue that had been accumulating for… let's see… the date of the Deal Memo was March '84, the suit was in March '87 to give you the time frame… minus of course, a third to the lawyers. Me: Bummer. You had to be furious? LS: I guess so… but I mostly remember being disgusted, that such a fascinating, frustrating, exhausting, exhilarating, ultimately successful venture should have come to such a shabby end. Me: This whole thing seems to have been entirely with Jules Bass. Boy, you must really hate him! LS: (laughs) …Jim, Jim… These stories are Legion in that business. In the "How to be a Producer Handbook" a primary rule is that if you aren't hated, you're not doing it right! Still - Jules goofed. I was so sure I was in Friendlyville, that I would have gone into it with a verbal agreement and a handshake and he could have aced me out of every cent, so there you go - nobody's perfect. Me: You haven't said anything about Arthur Rankin. Where was he in all this? LS: Arthur was barely around at all. I assumed that he was handling the animation end in Japan, and I guess he was, because one of the very few, I think maybe three, times he was there, he sat in at a writer's conference and said… actually I think the only thing he said during what was a long conference, was that the Japanese animators had requested that we scratch the word "hordes" out of our dictionaries. We were all guilty of loading the scripts up with characters, even me, who should have remembered that all those mob scenes we wrote would have to be drawn. Me: It doesn't sound like he had much say about the creative end in all that time? LS: Well… he may have had his hands full behind the scenes, who knows… but come to think of it all the other shows I'd done for Arthur seemed to be for him alone. Jules was barely around for those, so…anyway, Arthur is a very likable guy, nice quirky sense of humor… I knew him socially, was always pleased when he called me to do a script. It was a nice change from my regular routine, fun to see it animated. Always a pleasant experience. Me: So you think the way it ended was all Jules' doing? LS: Oh, how can I know. Maybe each had autonomous say on their individual projects, but - Arthur's name was on the door. I would have thought that he could resolve the whole sorry business with a phone call. There was no call. Me: So that was that… Oh - to backtrack, what do you think now that you know there actually was a Ted Wolf? LS: Oh! Tell me about it! There were some real horror stories among them, made me feel I was well out of it, but oddly, and happily, they all, with one tragic exception, shaped up. In their forties now, pushing fifty some of them, they've become responsible citizens, married with kids of their own, just as square as the rest of us. The relationship between Ted Wolf and his daughter seems to be one of the best ones though. One wants to be part of that gemutlich setting around the dining table. Ted Wolf's bio shows him to be an estimable guy, he clearly came up with the concept, received royalties for it, which you'll have noticed, they don't hand out willy-nilly. His daughter should never have occasion to be less proud of him. 'Created by Ted Wolf' will be the opening credit on 'Thundercats' as long as it's being shown. His is part one of the story, mine is part two. Part three is that it's still being enjoyed, so all in all… a happy ending. 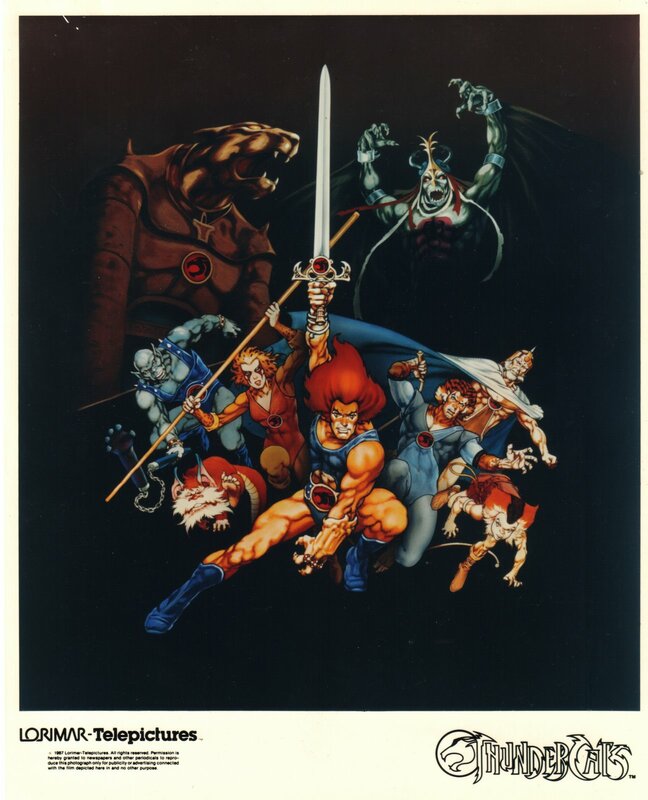 Transcribing the tape, I saw that I had answers to questions I didn't know I had, and since there's still so much interest in Thundercats, I thought it should be in with the Thundercat stuff on the Internet. I called Leonard to see if he'd object to that. He said, "Umm…what the hell. Why not." All text above is an interview with Leonard Starr by James Gauthier. The interview was found at Cheezey.org (I have added pictures and links.). Hello, Gustaf! I'm looking for the Mike Germakian concept art that you used in your post. Do you have the original from Lorimar? If you do, could you send me a sample in high resolution? Thank you for your time!